The air heavy with fragrant spices mixing with smoke emanating from the tandoor its easy to follow the aromas all the way to Delhi Kitchen as it stands tucked away behind over grown bamboo trees.Delhi Kitchen is everything it claims to be – your best bet for Delhi style food in Pune. It’s a place a lot of people discover in their student days when pockets are light but appetites are huge and they continue to come back even after their student days are over. Its a small little joint not very old but very popular . Basic plastic chairs and tables , but the food is great comes to your table fast and hot and the staff has a smile on their faces – I guess that’s what one needs every once in a while. Clearly the food is the winner at this place . 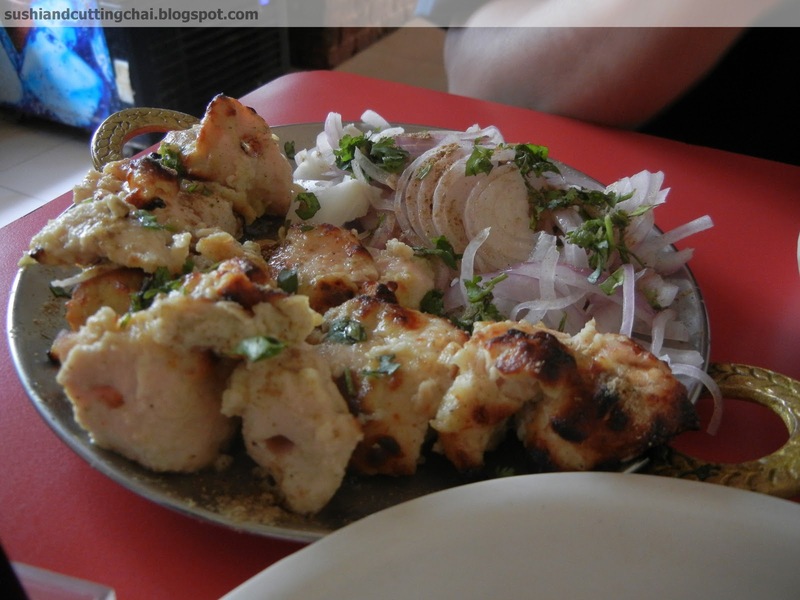 What is strongly recommended are the succulent , perfectly spiced Pahadi kebabs( Rs 100) served with a generous sprinkling of chaat masala , just a crack of pepper and near perfect sliced onions. 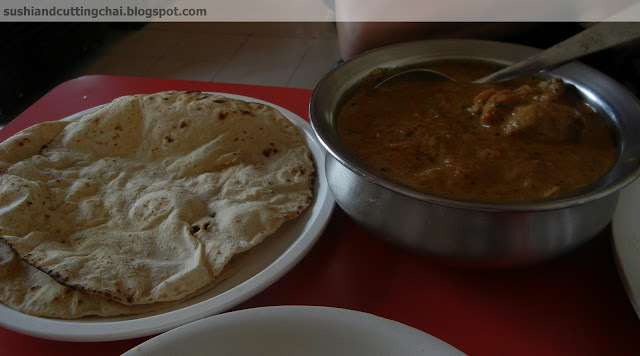 For the main course there are phulkas that come to your table steaming hot ready to mop up flavourful curries I recommend everything on the menu right from Palak Paneer (Rs 60) to Chicken Adraki (Rs 90) . Desserts on offer range from hot and soft gulabjamuns (Rs 30) that are just like those nanima made at home and chilled creamy kheer (Rs 30). Desserts run out pretty soon so you may not be lucky always. Delhi kitchen is an honest place with honest prices and generous portion sizes with a great offering for both vegetarians and non-vegetarians. People who mind eating in modest settings have the option of taking away. All in all it’s a must try for anyone who appreciates home style North –Indian fare.